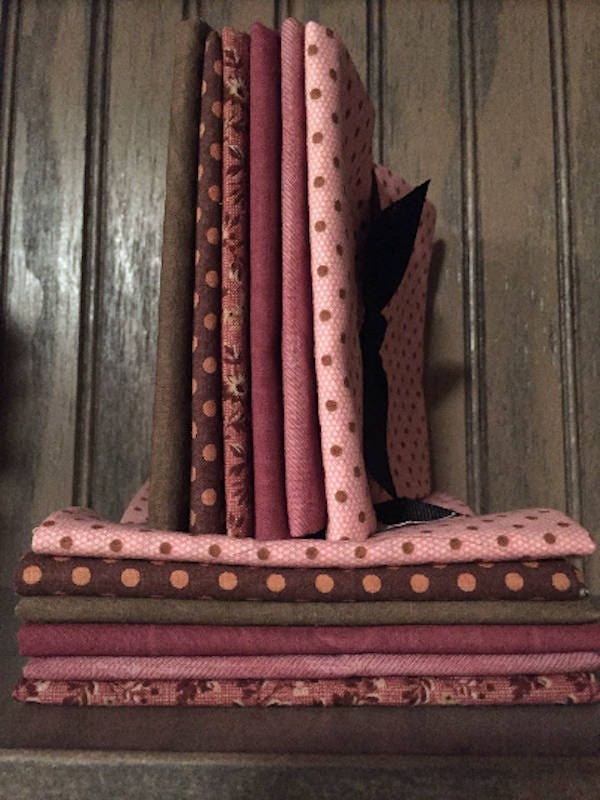 Fat Quarter Bundle of 6 cotton fabric pieces called "Pinks & Chocolates". 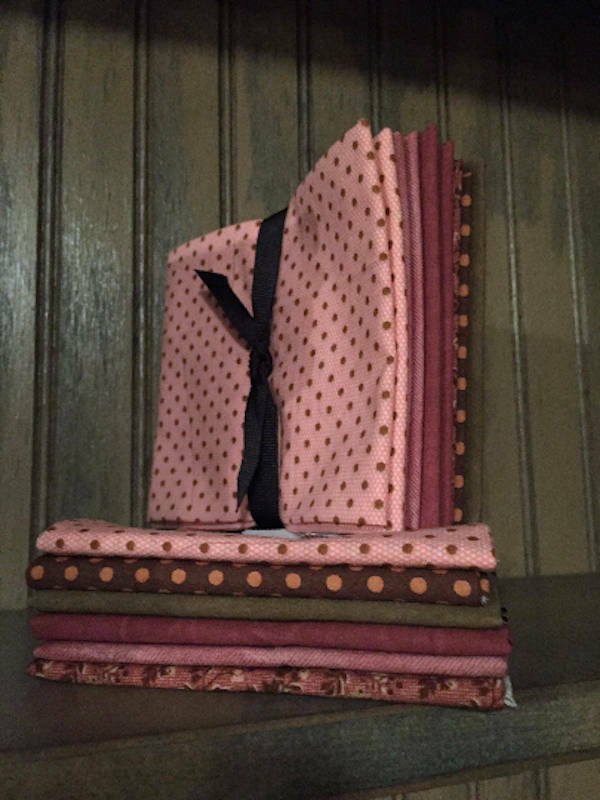 A sampler collection of pink and chocolate shades for yourself or as a gift for that quilter in your life! Each piece is cut off the bolt, sized 18" by 22". All 100% cotton fabric. Washing Instructions: Wash separately for initial wash.